The Nathaniel Dett Chorale at St. George the Martyr Church. Photo courtesy of the Nathaniel Dett Chorale. In today’s Urban Planner: make your week count by attending seminars celebrating free speech, a documentary screening, a second-hand fashion show, a concert of Haitian music, the Rhubarb Fest’s second week, and a mixtape swap. READING: Students can use their reading week for good by participating in Freedom To Read Week, organized by the Freedom of Expression Committee of the Book and Periodical Council. Events today include Sexual Outliers: Censorship, Advocacy Journalism and the Gay Press from 7–8:30 p.m. at the TPL’s Yorkville Branch, and Censoring Manga for Fun and Profit from 7–8:30 p.m. at the Lillian H. Smith Branch. The Toronto Public Library (several locations), until February 26. FREE. FILM: The Design Exchange’s archiTEXT Film Nights hosts a screening of Rem Koolhaas: A Kind of Architect. The documentary features interviews with many of Koolhaas‘s friends and colleagues, and looks at his design process and his contribution to the world of architecture. Design Exchange (234 Bay Street, third floor, Patty Watt Room), 7 p.m., $15 (free for DX members). FASHION: Toronto designer Sonja Vejin premieres a collection of work wear–inspired pieces made from second-hand clothing, called Wear 2 Work. The launch is also a fundraiser for a new non-profit that helps female immigrants enter the Canadian workforce. Prizes will be raffled off, and dancing will ensue. The Great Hall (1087 Queen Street West), 7 p.m., FREE. MUSIC: The CBC hosts an evening of music celebrating the culture, history, and creativity of Haiti tonight. Composer Sydney Guillaume premieres his new work, Ayiti 1-2-3, inspired by the poetry of his father, Gabriel T. Guillaume, and commissioned to mark the anniversary of last year’s earthquake. The piece focuses on African, European, and American influences on Haitian culture and features movements incorporating earlier collaborations between father and son. 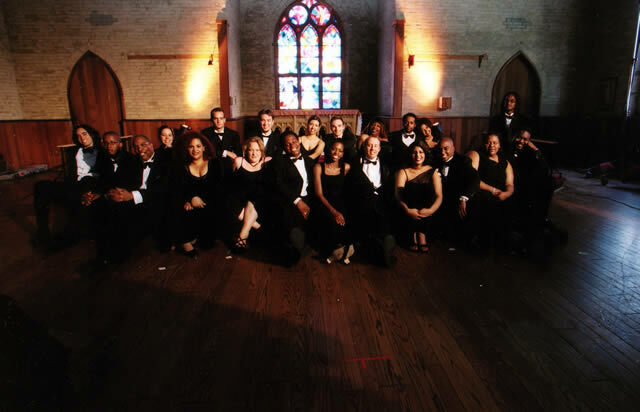 The piece will be performed by the Nathaniel Dett Chorale (who have sung for Nelson Mandela and Archbishop Desmond Tutu, among others). They are celebrating the end of a national tour and the release of a new CD. Glenn Gould Studio (250 Front Street West), 8 p.m., $30–$39.50. THEATRE: Buddies In Bad Times‘ Rhubarb Festival enters week two today, with a completely new roster of performances running in rep. Don’t miss Airship, a steampunk dance-music-art riff on early flight featuring the Femmes du Feu and Zirco Circus, The Centre for Sleep and Dream Studies, an “immersive electroacoustic somniloquixotic environment” by bluemouth inc. and poet a.rawlings, and Life of a Craphead‘s Please Copy Us Forever, a Mobile Works performance of advertisements in the scramble crossing at Yonge-Dundas Square. SWAP: After Monday’s rousing Preserve Swap, Riverside local The Avro and their resident DJ Damn Aykroyd host a Mixtape Swap. Put together a CD (or several) and swap with other mixtape aficionados. Also check out their music video. The Avro (750b Queen Street East), 10 p.m., FREE.